The farm enjoys a Natural England Higher Level Environmental Stewardship Agreement. This provides financial support for conservation and restoration of hay meadows, pastures, dry stone walls and traditional farm buildings. The conservation of species-rich habitats and the protection of historic features lies at the heart of the farming system at Lower Winskill. Sheep and cattle are cared for in ways that enhance biodiversity, especially the wild flower and insect communities of the species-rich hay meadows and pastures. The approach to conservation is intentionally holistic with biodiversity objectives designed to go hand-in-hand with the preservation of historic features on the farm, notably the ancient dry stone wall field pattern. 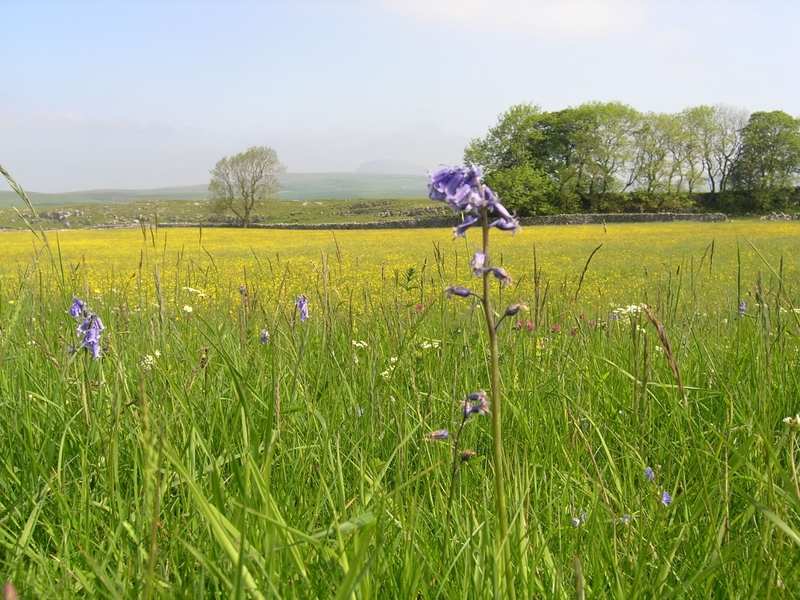 Lower Winskill pioneered the first long term upland hay meadow restoration project in the Yorkshire Dales National Park. Beginning in the mid 1990s, this project is restoring some 25 acres (10 hectares) of hay meadow, which had gone out of use in the 1970s. Documentary evidence shows these meadows were in existence by the late 16th century and they still retain many of the wild flowers from that time. The presence of bluebells in these meadows is especially interesting and suggests the meadows were originally formed at a time when the locality was much more wooded than today. The hay meadow restoration project will also ensure the preservation of the intricate and ancient pattern of dry stone walls at Lower Winskill, showing the inter-dependence of biodiversity objectives and the protection of historic features. Lower Winskill is also home to an innovative whole farm butterfly conservation project. The hay meadows and pastures are managed in ways which encourage the host plants for the caterpillars of several species of butterfly as well as providing a nectar source for emergent butterflies from late spring to early autumn. To get the right habitat for butterflies at Lower Winskill, it has been necessary to extend the period of livestock exclusion specified in the Higher Level Stewardship Agreement so that there is no grazing of these pastures from the beginning of April until mid September. The uncut edges of the hay meadows are also left ungrazed until mid September. These strategies are intended to provide the crucial diversity of small scale habitats so essential for many species of butterflies. The results have been very encouraging with some 14 species of butterfly now resident at Lower Winskill, including the rare Northern Brown Argus and once common but now nationally declining species such as Small Heath and Meadow Brown. These results clearly demonstrate that much more could be done to encourage butterfly populations on farms in the Yorkshire Dales National Park. Lower Winskill supports Butterfly Conservation as a corporate member. Lower Winskill Meadow Restoration Events 2003-4 (4.82Mb .pdf) with Flora locale. Lower Winskill Meadow Restoration Events 2003-4 Photos (4.44Mb .pdf) with Flora locale. The 6 July 2003 edition of the Yorkshire Post carried an article about conservation at Lower Winskill.